This article was originally published by War on the Rocks on 10 March 2015. Leaders lie “in the routine performance of their duties,” and “ethical and moral transgressions [occur] across all levels” of the organization. Leaders have also become “ethically numb,” using “justifications and rationalizations” to overcome any ethical doubts. This “tacit acceptance of dishonesty… [facilitates] hypocrisy” among leaders. These quotations sound like they are ripped from the headlines about some major corporate scandal. But they’re not describing Enron before its collapse in 2001, or firms like Lehman Brothers and Countrywide before the 2008 financial crisis. Instead, they describe one of the country’s most respected institutions: the U.S. Army. 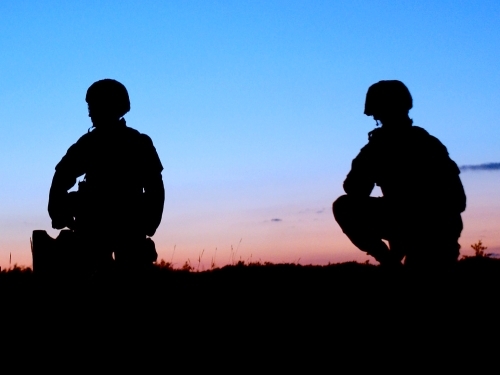 Leonard Wong and Stephen Gerras, who are both professors at the U.S. Army War College, just published a devastating study called Lying to Ourselves: Dishonesty in the Army Profession. They state up front that indications of ethical and moral problems can be found throughout the entire U.S. military, not just in the Army. These include (but certainly are not limited to) U.S. Air Force personnel cheating on tests about nuclear launch systems, and U.S. Navy admirals and others sharing classified information in exchange for gifts and bribes. Last year, Secretary of Defense Chuck Hagel appointed a two-star admiral as the first Senior Advisor for Military Professionalism to address mounting concerns about ethical issues throughout the force. ‘White’ lies and ‘innocent’ mistruths have become so commonplace in the U.S. Army that there is often no ethical angst, no deep soul-searching, and no righteous outrage when examples of routine dishonesty are encountered. Mutually agreed deception exists in the Army because many decisions to lie, cheat, or steal are simply no longer viewed as ethical choices. This is a particularly damning judgment for an institution that worked so hard to rebuild its honesty and integrity after Vietnam, when the U.S. military was in tatters. By the war’s end in 1973, the services were deeply torn by drug use, racial violence, indiscipline, and ethical lapses. As Army leaders sought to address these immense challenges, one of their highest priorities was to candidly examine and restore the ethical standards of their officers and non-commissioned officers (NCOs). During the 1970s, the Army’s senior-most leaders commissioned numerous studies that examined all aspects of this deep breach of military professionalism. These self-critical assessments were notable for their candor and uniformly dismal view of the state of Army leader and institutional ethical underpinnings. Army leaders responded by creating a uniform set of values that both formalized and subsequently promoted the highest professional standards across the force. These Army Values were spelled out in the (inevitable) acronym LDRSHP: Loyalty, Duty, Respect, Selfless Service, Honor, Integrity and Personal Courage. More than just a collection of virtues, these new Army Values – which remain in place today – became a lodestone for professional conduct and were quickly embraced by the force. All soldiers wore them on their dog tags around their necks. Units held professional development sessions to discuss their meaning and importance. Over time, the Army Values became a core part of the Army culture. Leaders and soldiers of all ranks could and were held accountable by one another to meet these new professional standards. One of this column’s authors felt that impact directly, as a junior officer coming into the Army right after the Vietnam War. Army unit leaders often told junior officers of that era that they could professionally survive many different types of failure – flunking a motor pool inspection, for example, or failing a field training evaluation – but that they could not survive a failure of integrity. By the 1991 Gulf War, the Army had largely rediscovered its ethical compass. Those who served at that time could feel a dramatic shift into a new era of standards and accountability, honesty and trust from the dark days following Vietnam. So with this impressive history of ethical reform, why is the Army facing a crisis of institutional integrity once again? How could an institution that remains so publicly committed to its values and professionalism routinely accept such dishonest and deceitful behaviors? We believe that there are at least three key reasons. First, the explosion of information technology has changed not only how the Army fights wars, but how it demands and collects information. When the Army communicated through couriered papers, radios, or even telephones, there were physical and practical limits as to how much information could be requested, collected, and analyzed. The labor-intensive nature of responding to these requirements also limited their profusion, as did the inevitable time delays of an analog world – a single piece of paper could only travel so quickly throughout the bureaucratic system. Those days are now long gone. Practical limits on reporting requirements for military leaders have disappeared in an era of email, shared digital communications, and unlimited bandwidth (in both combat and peacetime) to accommodate any amount of information instantaneously. Even a young lieutenant at a remote outpost in Afghanistan often has Internet access – and thus can be required to provide multiple daily reports, detailed explanations of past and upcoming operations (often with digital photos), and to complete mandatory briefings and training tasks. Those posted outside the combat zones are doubly inundated with these ever-growing requirements, with no relief in sight. Second, the careerism that inevitably creeps into militaries after wars – and particularly during inevitable postwar drawdowns – remains alive and well. Zero defects and perfect scores on mandatory training subjects are required to remain competitive with peers in an ever-shrinking force. Being the outlier who reports failing to meet 100 percent of compulsory requirements may be the ethically correct choice, but it may also destroy a career. Furthermore, Wong and Gerras find that senior Army officers are clearly complicit in maintaining the expectations of perfect reporting while knowing full well that such outcomes are simply impossible. This erodes individual integrity and promotes deference to a group culture of duplicity as “the Army way.” In effect, the Army’s senior leaders are condoning systemic lying throughout the service by failing to recognize and rein in the aggregate effects of their utterly unconstrained requirements. Finally, the corrosive effects of 13 years of combat operations have helped justify a culture of doing what’s needed to take care of the troops, finish one’s combat tour, and move on. The moral compunction to take care of troops in harm’s way by focusing on wartime tasks (planning the next patrol) can readily justify making ethical compromises for bureaucratic compliance requirements (completing sexual harassment training) that never cease, even in combat. The junior leaders forced to respond to these unconstrained demands all too often simply engage in what Wong and Gerras call “checking the box,” “pencil-whipping,” and “giving them what they want.” The military equivalent of the business world’s incessant focus on metrics and measurable markers of performance has further contributed to this often near-mindless collection of statistics from every level, even in the combat zones – even though Wong and Gerras note that few collectors of the information at higher headquarters actually believe in the data they are collecting. Yet ironically, unlike after Vietnam, the military’s standing in the public square is now unequalled. Year after year, the U.S. military is ranked number one in public confidence among all the nation’s institutions. And by all measures, the all-volunteer force has fought the prolonged and painful wars of the last decade and a half with courage, resilience, and a relatively high degree of professionalism. War crimes and misconduct, desertions and drug use, indiscipline and blatant lying to public officials have been mercifully rare. Today’s ethical problems may be less obvious or visible than those that plagued the Army after Vietnam, but they are no less serious. This quiet cancer in military integrity can have pernicious effects. The pervasive subtle falsehoods that now seem to affect all Army reporting can have – and may have already had – profoundly harmful consequences. At the tactical level, Wong and Gerras show that some Army officers fail to accurately report engagements or to request permission for indirect fire, because they see the reporting process as too demanding. Over time, such seemingly innocuous deceptions cause the higher headquarters receiving these reports to consistently undercount violence and overestimate success – thus distorting the entire picture of how the war is unfolding. Moreover, subsequently arriving replacement units will be less prepared to deal with the more deadly realties of the battlefield they will actually inherit when their combat rotation begins. The painted picture will always be far rosier than underreported local reality. At the operational level, ethical erosion compounded by massive reporting requirements undermines the Army’s concept of Mission Command. Mission Command is the way the Army fights: it espouses decentralized command and control and places great authority and trust in the hands of junior leaders. The profusion of reporting requirements demanded of these same leaders, and the tacit acceptance by senior leaders that reports will be false or inaccurate, undermines the very foundation of trust upon which Mission Command is built. Within the Army, this may be the most dangerous consequence of this silent ethical breakdown – that trust is dissolved between leaders and led, between seniors and subordinates. Such evident hypocrisy among seniors can all too easily drive cynicism to replace critical trust, especially among junior officers. A schism between senior and junior officers rooted in this hypocrisy – where, as one junior officer told us, “the audio and the video of senior leaders don’t match” – will drive leaders of integrity out of the force and may ultimately cause others outside and inside the Army to lose faith in the fundamental integrity of the institution. But it is at the strategic level where the effects of this erosion of military ethics may be the most dangerous. To take one important example, Wong and Gerras were frequently told that the readiness assessments of partner forces in Iraq and Afghanistan were an example of ethical deception. These critically important assessments rated the ability of Iraqi and Afghan forces to fight on their own, without U.S. assistance. Yet these ratings usually depended more on the U.S. rotational unit deployment cycle than on the actual capabilities of those partner forces. In other words, partner units received low ratings when a new U.S. unit arrived, better ratings over time, and high ratings right before that unit left – only to plummet once again when a new unit arrived. This rollercoaster annual cycle would almost seem comical were it not for the fact that U.S. strategy in both Iraq and Afghanistan rested heavily on turning over the battlefield to these very same local national forces. This means that senior U.S. military and civilian decision-makers relied on fundamentally flawed data when assessing the progress towards this critical strategic objective. Thus, their decisions about whether the war should continue or end and at what pace U.S. and allied forces should withdraw were deeply distorted. Wong and Gerras’ report is courageous, hard-hitting, and damning. It strongly indicts the Army’s top leaders – and, by extension, the nation’s military leaders – for a lack of leadership. They describe an environment where these leaders are turning a blind eye to a tremendous problem that is in plain sight – and one that is obvious to every junior officer in their ranks. Senior Army leaders are insisting on the highest standards of professionalism and ethical standards – the adherence to Army Values – while at the very same time demanding results that drive their junior leaders to lie as the only means of meeting an unachievable miasma of mandatory requirements. Junior leaders must continually violate their integrity to meet the Army’s demands. Wong and Gerras recommend that the Army needs to acknowledge the problem of preserving integrity in a culture that promotes dishonesty, exercise restraint in generating requirements, and lead truthfully by expecting no more from its leaders than can be actually accomplished. These are certainly worthy reforms, and we strongly endorse their call for a central authority to vet all reporting requirements – something that we’ve described elsewhere as the need for creative destruction. But these recommendations do not go far enough. Their damning findings cry out for a top-to-bottom institutional soul-searching on the state of military ethics in an era of information and requirements overload. This ethical crisis will not be resolved by another catchy program or new Pentagon office. It can only be addressed by strong senior level leadership, marked by candor and transparency. Junior officers deserve public acknowledgement of the irreconcilable ethical conflicts they confront daily and must participate in building the changes needed to reconcile these impossible tensions. Their leaders must now demonstrate the moral courage to acknowledge the depth of this corrosive problem, to listen and seek advice from their subordinates, and to lead their force to a solution. But most importantly, the nation expects – and deserves – complete honesty and integrity from its military upon which so much of the nation’s security depends. Anything less will ultimately put the nation at risk by deeply eroding the foundations of its future strategic choices. You can help War on the Rocks expand – find out how.